Underdown is within walking distance of the thriving and expanding town of Ledbury, which has a range of local facilities and amenities including shops, schools, churches, restaurants, theatre, doctors surgeries, community hospital and a mainline railway station, with direct links to Hereford, Worcester, Birmingham New Street, Oxford, Reading and London Paddington. The cities of Hereford, Worcester and Gloucester are all approximately 16 miles distant with the M50 motorway available approximately 4 miles to the south of the town. 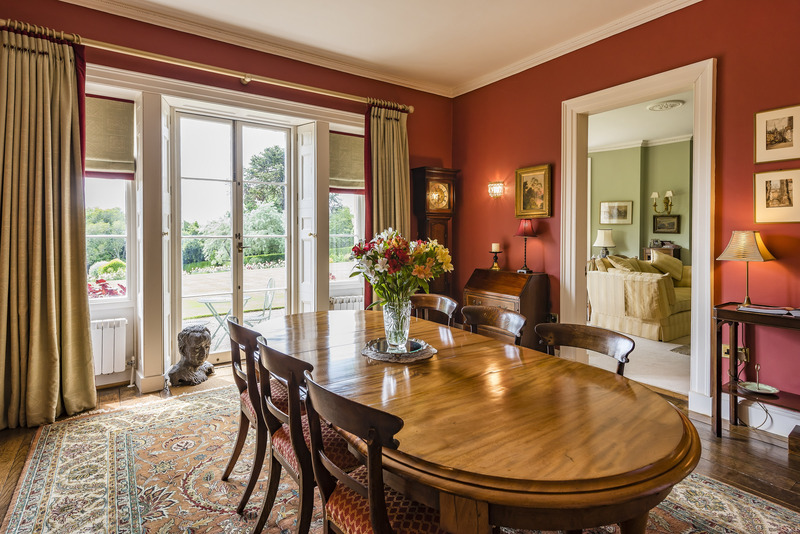 Impressive reception hall with two large sash windows, feature period fireplace, polished wooden floor. Door leading to Guest Suite. Door leading to Apartment 1. Suite comprising walk in shower enclosure with electric Mira Sport shower, vanity wash hand basin with cupboard below and mirror over with vanity lights, low level wc. Extractor fan, Dimplex wall heater, ladder style towel rail. 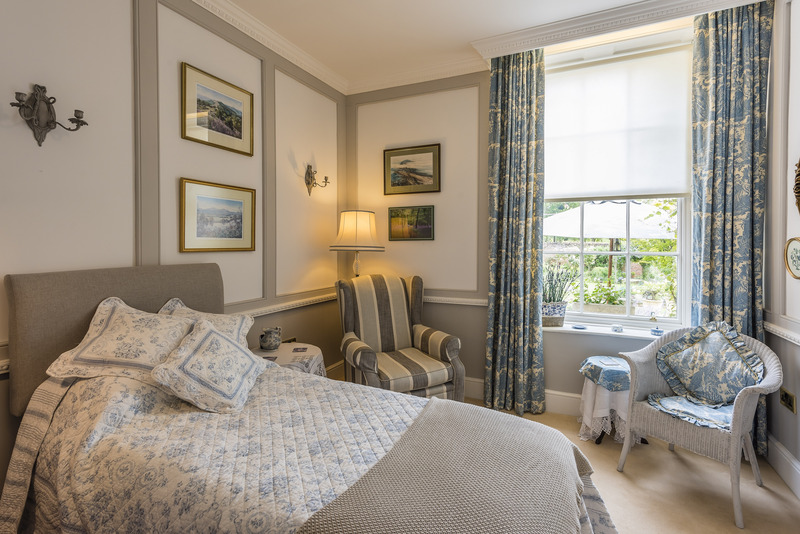 Bright and airy room enjoying a south westerly aspect with a striking bay incorporating three large sash windows all with original shutters overlooking the communal garden. Ceiling rose, cornicing, dado rail, wall lights, traditional column radiators. Hand crafted built in bookcase with storage cupboards below. 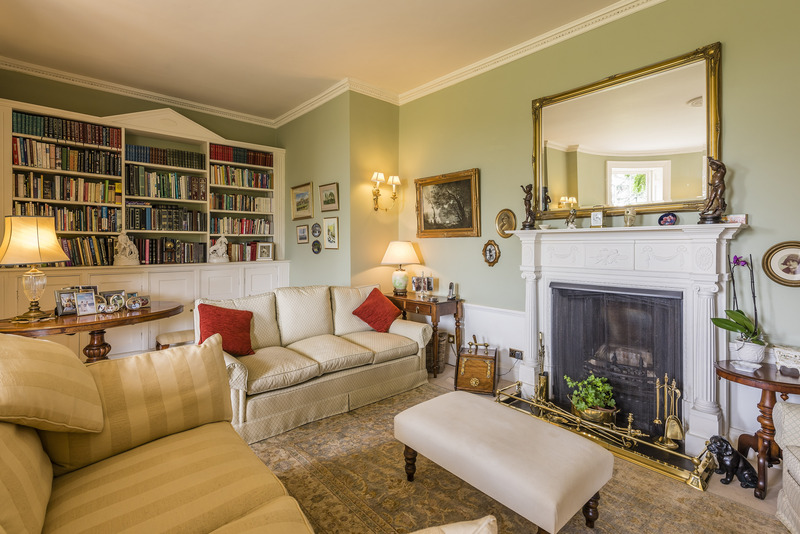 Feature open fireplace with cast iron grate and original ornate wooden surround and slate hearth. Having been imaginatively redesigned to create a superb breakfast kitchen which serves as a hub at the heart of the apartment. Fitted with bespoke solid floor and wall mounted units including corner cabinets, deep pan drawers, a large larder cupboard, matching dresser with glass display cabinets and two built in bookcases. The kitchen offers a comprehensive range of Miele integrated appliances including a fridge freezer and an eye level steam oven with an electric oven below and a warming drawer. There is also an induction hob with a granite splash back and cooker hood over. There are extensive granite work surfaces with cupboard underlighting over. 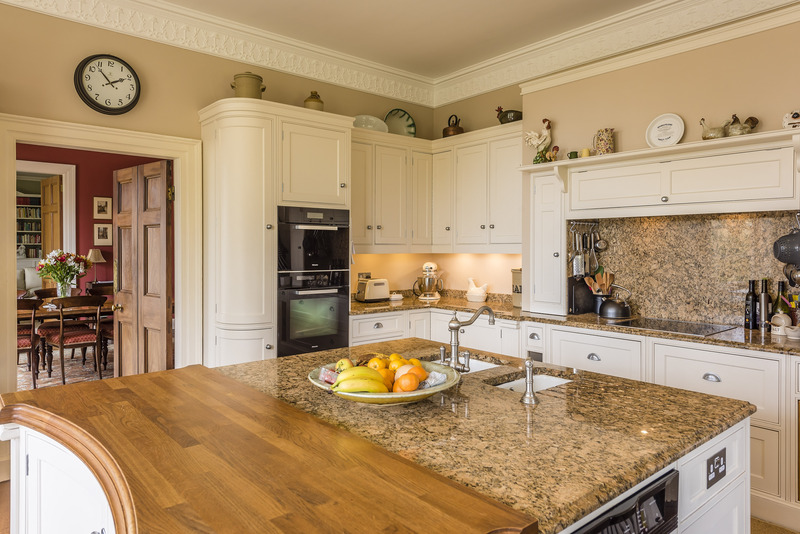 A particular feature of the kitchen is the central island with a further granite work surface and inset double sink with waste disposal and a berevelled drainer. The island is fitted with an integrated dishwasher, bin store, further storage cupboards and a solid wood peninsular bar. Although the breakfast kitchen has been completely renovated, careful consideration has been given to maintain its integrity, which is evident in the feature moulded cornicing, dado rail, original solid oak tongue and groove wooden floor and beautiful bay overlooking the communal garden with three large shuttered sash windows. 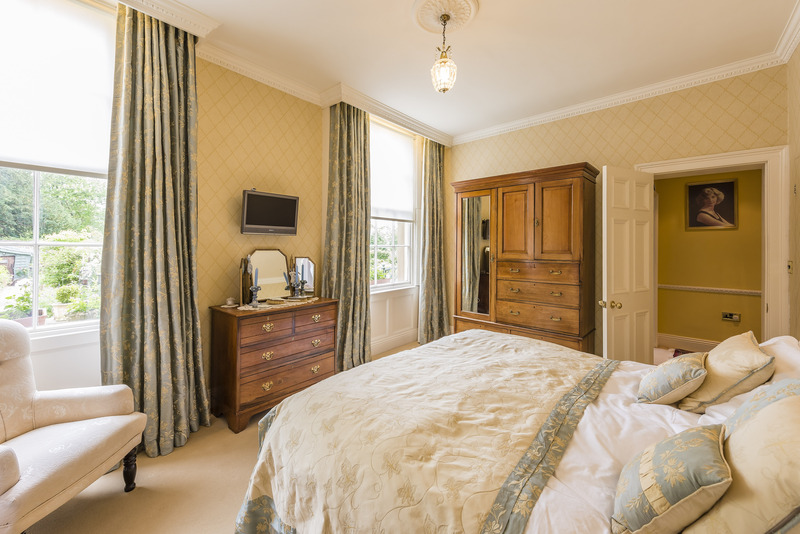 Currently used as a double bedroom but could also be used as a separate reception room. 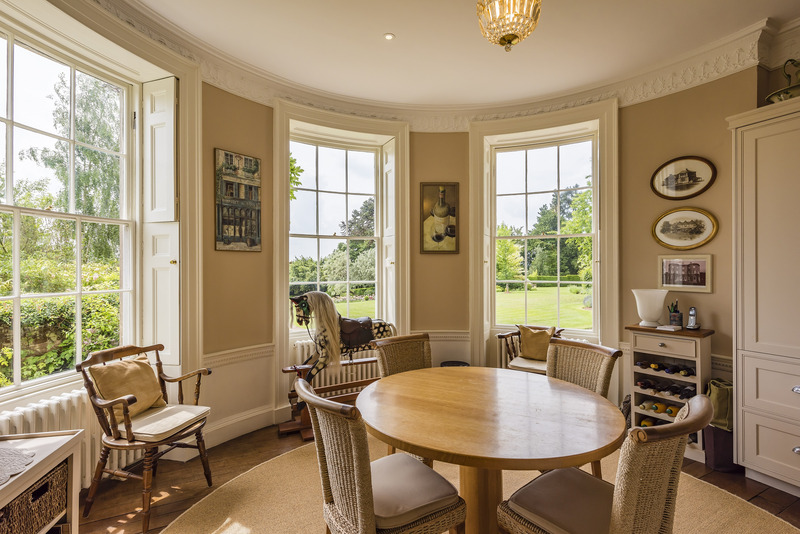 Sash window with original shutters overlooking the garden. Ceiling rose, cornicing, wall lights, panelling to walls, dado rail. Underfloor heating control, two TV points. Walk in wet room with full height tiling, pressurized water jets and a hand held shower attachment. Low level wc, Jacuzzi wash hand basin with cupboard below. Window overlooking the garden, recessed spotlights, coving, extractor fan, ladder style towel rail, underfloor heating. Contemporary fitted suite comprising a panel bath with hand held shower attachment, pedestal wash hand basin with mirror over, large walk in shower enclosure with rain drop shower head and tiled surrounded, low level wc. Recessed spotlights, coving, feature mirrored wall, shelving units. Fitted with a stainless steel sink drainer unit with storage cupboard below, space and plumbing for washing machine and tumble dryer. Worcester central heating boiler and Mega Flo high efficiency hot water cylinder. Door to large airing cupboard with ample shelving. Tiled floor. Useful store room currently used as a wine store with power and light and a tiled floor. Ceiling light, wash hand basin with tiled splashback, low level wc. Recess with shelving, cupboard housing air conditioning unit and controls. Useful store room currently used as a work room with strip lights, feature exposed ceiling beams, alcoves providing additional storage areas. 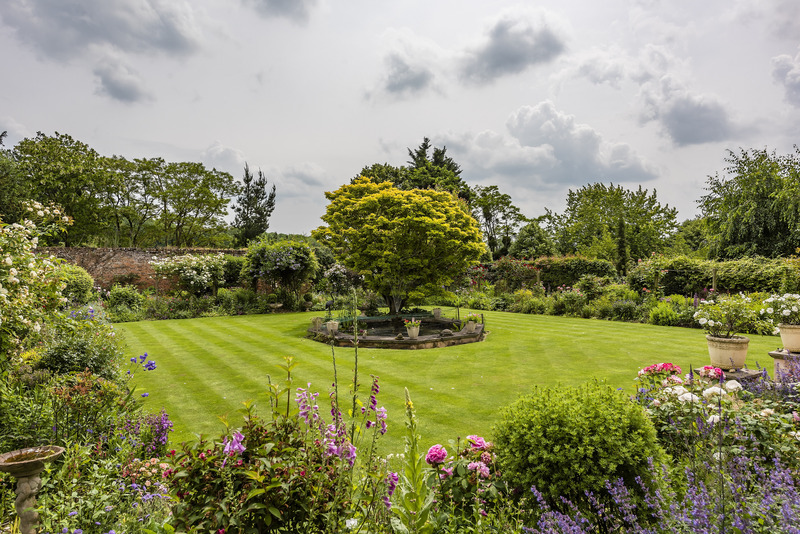 Underdown is approached via a long sweeping driveway flanked on either side by the delightful mature communal grounds, which are predominately laid to lawn with a feature rose garden and some particularly fine specimen trees. 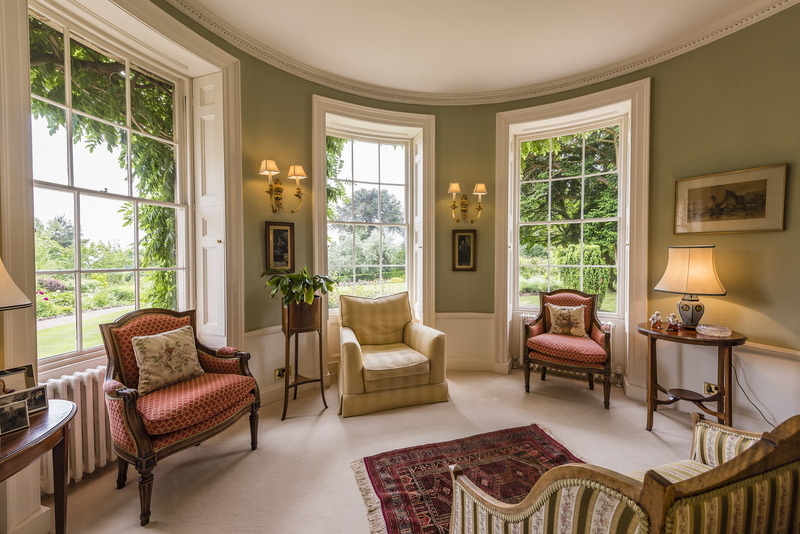 In all the grounds extend to approximately 2½ acres. The driveway leads to the main building, where Apartment 1 has a freehold allocated PARKING SPACE, and continues round to the visitors carpark. Apartment 1 also has the benefit of a brick built single en bloc GARAGE. Together with the enjoyment of the communal grounds, Apartment 1 boasts its own walled garden, which extends to approximately HALF AN ACRE and has been thoughtfully planted to provide an array of colour throughout the year. The garden comprises a central manicured lawn with a feature pond and water fountain. A large gravelled pathway with blue brick edging borders the lawn flanked on either side with well stocked perennials. The pathway leads to a POTTING SHED with adjoining WORKSHOP. The potting shed is a true gardeners haven and has been sympathetically designed with reclaimed leaded windows, brick tiled floor, ceramic sink with water tap and ample shelving. It also has power and light and an insulated roof. Within the garden there is also a GREENHOUSE and an attractive Arbor. 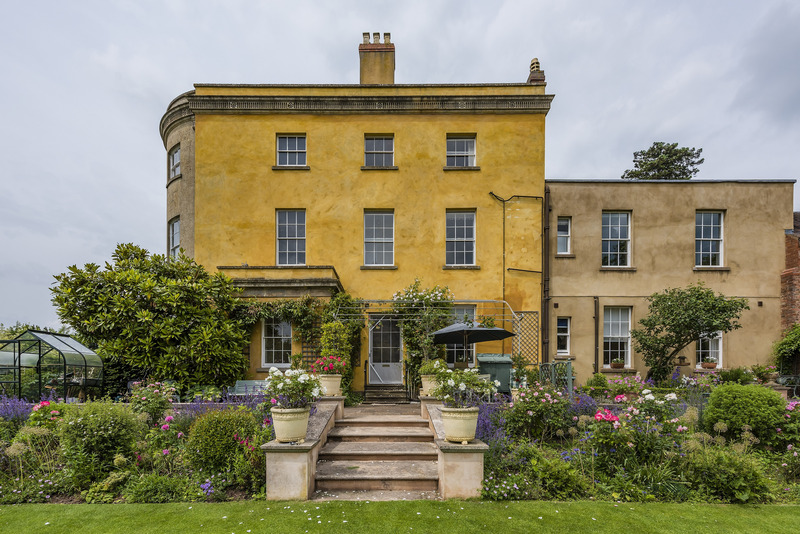 Immediately adjacent to the apartment there is also a flagstone seating terrace with a set of central stone steps leading down to the lawn. An attractive 'Italian' style terrace provides a further seating area with a decorative tiled floor and climbing clematis. Throughout the garden there are strategically placed outside water taps. A gate from the garden also gives access onto the communal grounds. We have been advised that mains gas, electricity and water are connected to the property. Drainage into a shared septic tank. This information has not been checked with the respective service providers and interested parties may wish to make their own enquiries with the relevant local authority. No statement relating to services or appliances should be taken to infer that such items are in satisfactory working order and intending occupiers are advised to satisfy themselves where necessary.We have been advised that mains services are connected to the property. This information has not been checked with the respective service providers and interested parties may wish to make their own enquiries with the relevant local authority. No statement relating to services or appliances should be taken to infer that such items are in satisfactory working order and intending occupiers are advised to satisfy themselves where necessary. We are advised (subject to legal verification) that the property is Leasehold. The property is held on a 999 year lease from approximately 1993. The freehold is jointly owned by the 10 residents of Underdown. A service charge of £80 is payable per month to Underdown Management Company, which covers maintenance of the common parts and gardening services. Buildings insurance is payable separately and is currently £530 per annum. 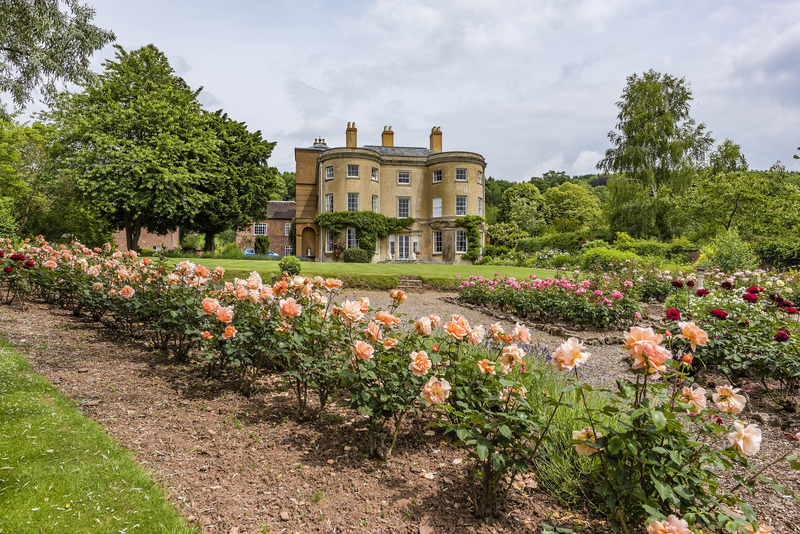 The 5 residents of the main house also separately contribute £20 per month into a sinking fund for Underdown House. This property is currently exempt from requiring an EPC. From the Agents Ledbury office turn right at the traffic lights and proceed along The Southend. The entrance to Underdown will be located on the left hand side after Ledbury Tennis Club and before the roundabout. Viewers are advised to park in the visitors carpark.